Please join us in welcoming the Equestrian Team of Millersville University as they present a lecture entitled “The History of Horses and English Riding.” Horses have been around for approximately 55 million years. They have changed through time and have played an integral part in shaping our world. The domestication of horses has helped people to do so many things such as transportation, farming and competition. 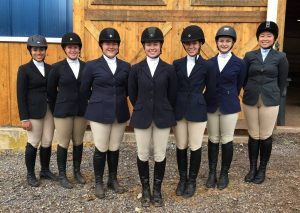 For further information on the Equestrian Team of Millersville, please click here. This lecture will be held in the Rock Ford Barn.